Buffalo Mayor Honors Shannon Smith, East Coast O & P | East Coast Orthotic & Prosthetic Corp.
East Coast O & P Clinical Director Christopher Berger, C.P.O (left), Buffalo Mayor Byron Brown (center) and East Ccoast O & P CEO Vincent A. Benenati, C.O. (right) discuss prosthetics. 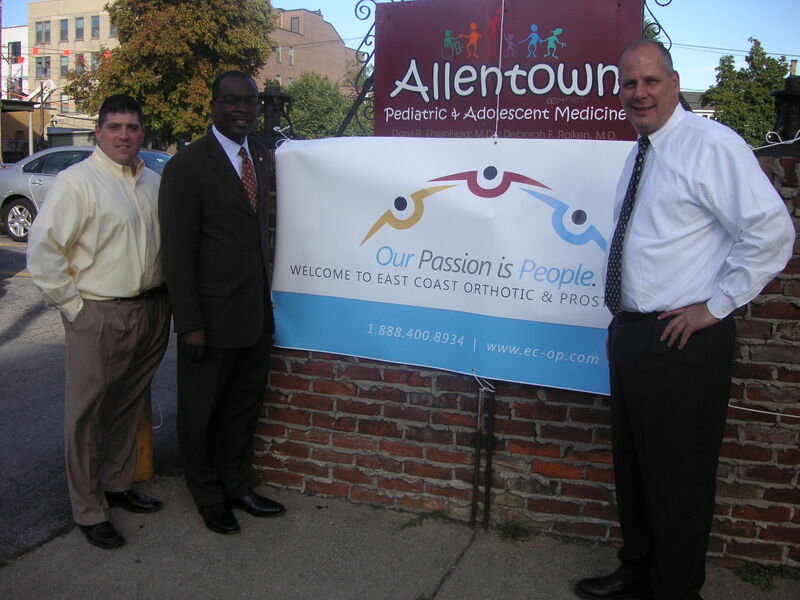 East Coast O & P Clinical Director, Christopher G. Berger (left), BuffaloMayor Byron Brown (center), East Coast O & P CEO Vincent A. Benenati, CO (right) pose in front of banner. On his recent visit, New York State Senator Mark Grisanti (R-Buffalo) gets a briefing at East Coast O & P's Buffalo laboratory and patient office, by East Coast O & P's CEO, Vincent A. Benenati, C.O. (right). East Coast O & P's CEO, Vincent A. Benenati, C.O. 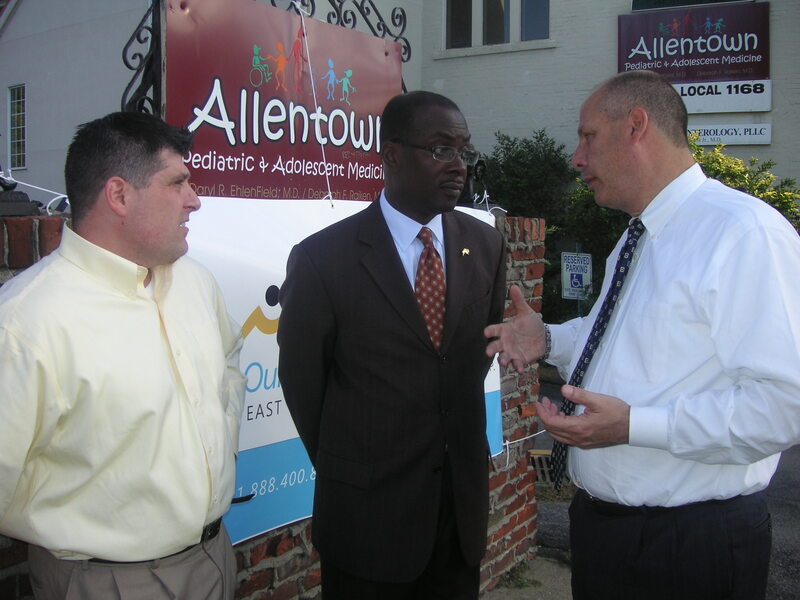 discusses the laboratory process with New York Senator Mark Grisanti. On Wednesday September 12th, Mayor Byron Brown and New York Senator Mark Grisanti visited East Coast Orthotic & Prosthetic Corp. in Buffalo to honor Shannon Smith and the work our company has done with her. It was that was day filled with hope and recognition for Ms. Smith, capped off with Mayor Byron Brown naming September 12th “Shannon Smith Day” in Buffalo, a show of respect and honor to a woman who has overcome great obstacles in her life. 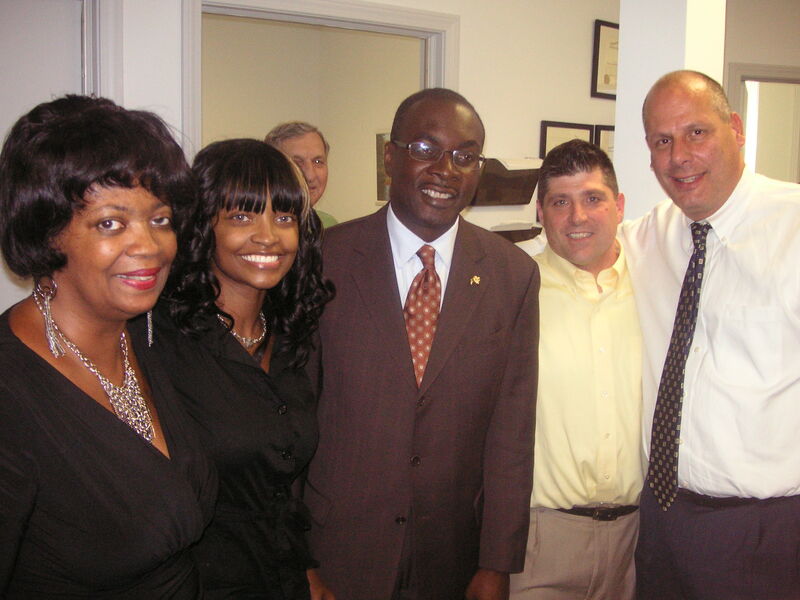 Mayor Brown appeared at the Buffalo office and spoke with Ms. Smith and staff of East Coast Orthotic & Prosthetic Corp. He has been a long-time supporter of the company and first showed his support by coming to our grand opening of existing Buffalo office several years ago. Also on hand for the celebration for Ms. Smith was New York State Senator Mark Grisanti (R-Buffalo) who met with Chief Executive Officer Vincent A. Benenati, C.O., and discussed some of the innovations the company was developing in prosthetics. 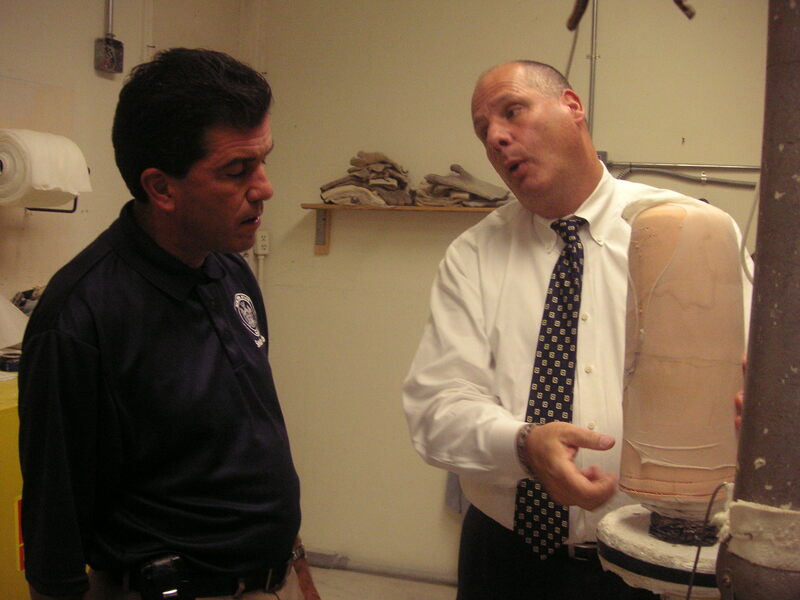 Senator Grisanti toured the facility and got a close look at the laboratory. Overall, it was great day of celebration and one that will not soon be forgotten for one very special person.